Last week HRH Prince Edward, the Earl of Wessex visited Leeds manufacturer, Pland Stainless, as part of its centenary celebrations. Established in 1919 on the same site, stainless steel products manufacturer Pland Stainless invited the royal guest to take a tour of their engineering facility and assist in the manufacture of some hospital sinks to mark the occasion. He was accompanied by the Lord Lieutenant, Ed Anderson and the Lord Mayor, Councillor Graham Latty and Lady Mayoress, Councillor Pat Latty on the visit. He was also joined by a number of Pland’s customers and suppliers. 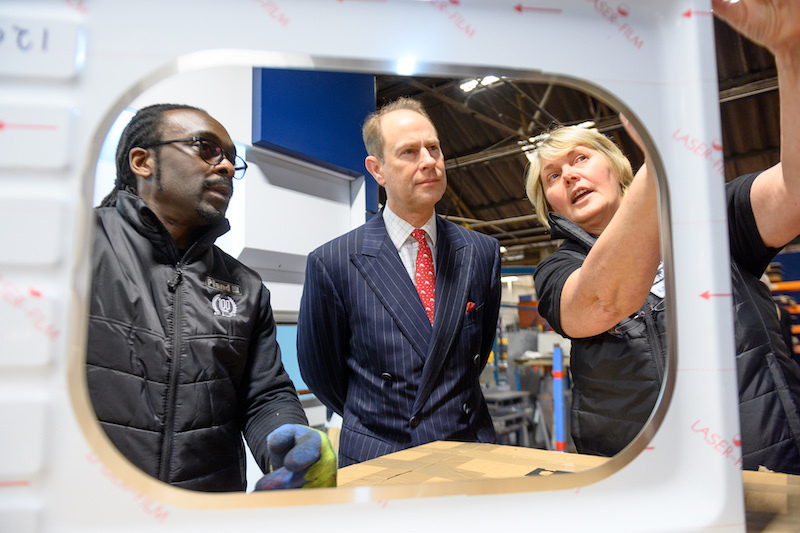 The event saw HRH Prince Edward meet all 45 staff on the tour of the facility and he was taken around the factory by Alison Harling the Company’s Production Manager.